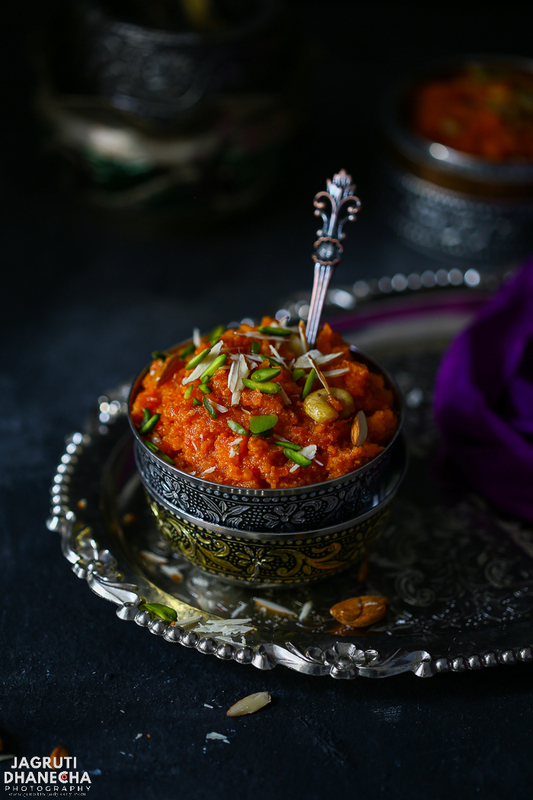 Gajar Halwa or Gajar Ka Halwa / Carrot Halwa is one of the most popular classic Indian desserts you can find in Indian households. It is very rich, creamy, tasty with the goodness of milk, nuts and natural sweetness of carrots. This so easy and fuss-free dessert is a near-universal treat during any Indian festival and happy occasion! 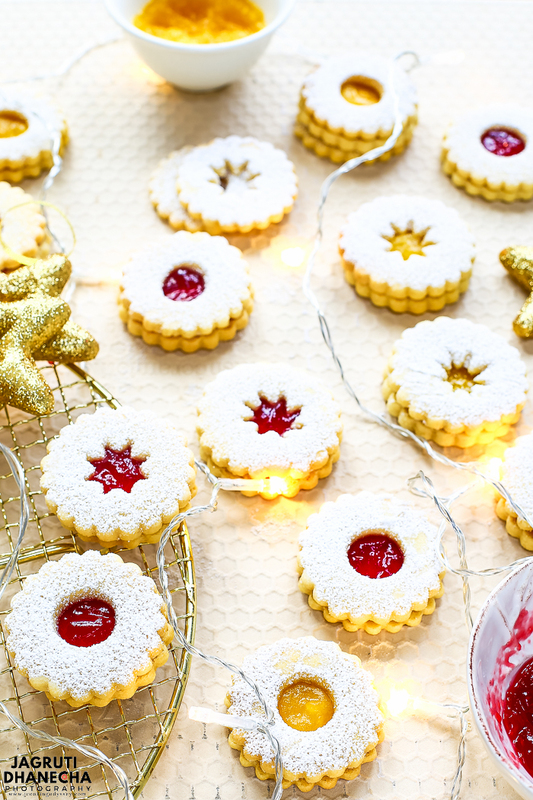 It doesn't get more festive than these pretty and melt in the mouth Eggless Linzer Cookies! The famous Christmas cookies from Austria. 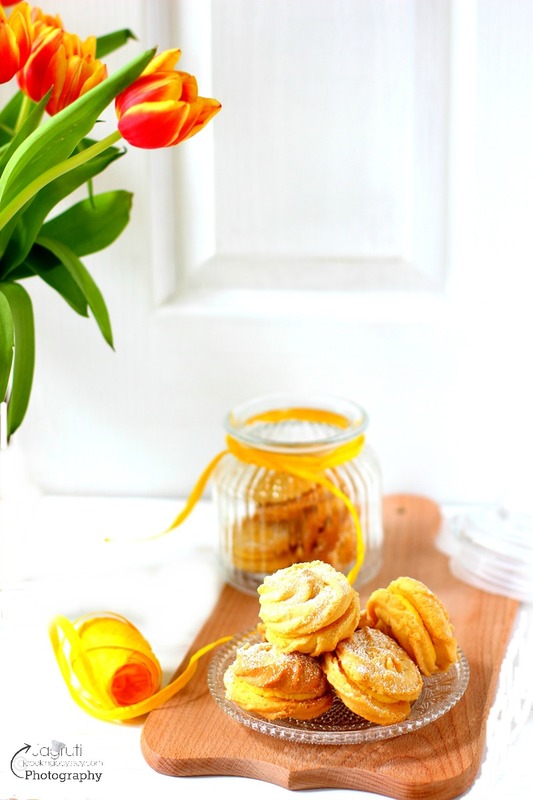 Cookies with a round cutout, sandwiched between raspberry and saffron preserve, then the tops are dusted with icing sugar to give a snow finish. A perfect bake to celebrate the season of joy and to be merry! Aromatic and elegant Instant Pot Cranberry and Saffron Rice! 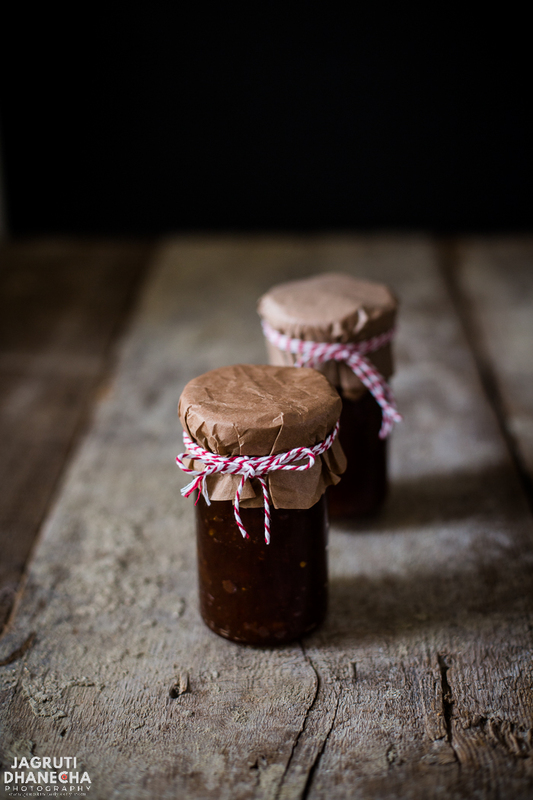 A delicious combination of tart fruit and sweet spices. 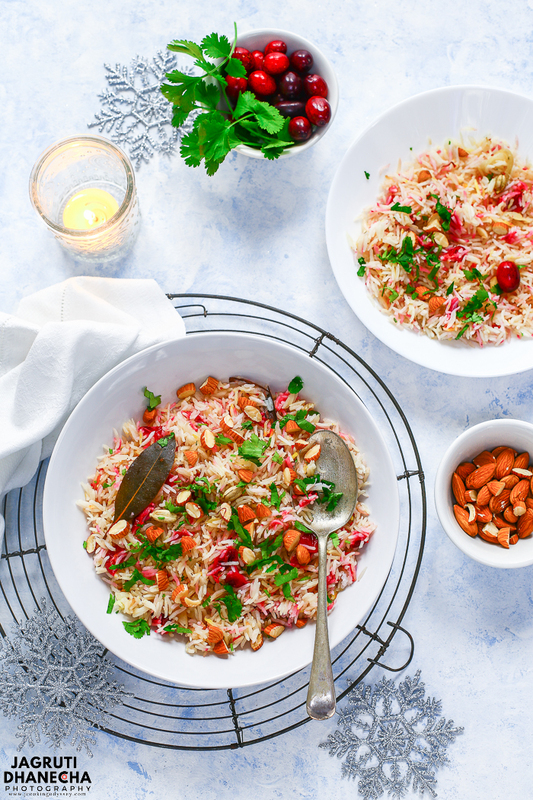 This Persian style vegan and gluten-free rice pilaf or pulao is a perfect side dish to any spicy meal. It's studded with fresh cranberries and lightly toasted almonds and has a wonderful fragrant from sweet saffron. This magnificent rice will be hit all around! 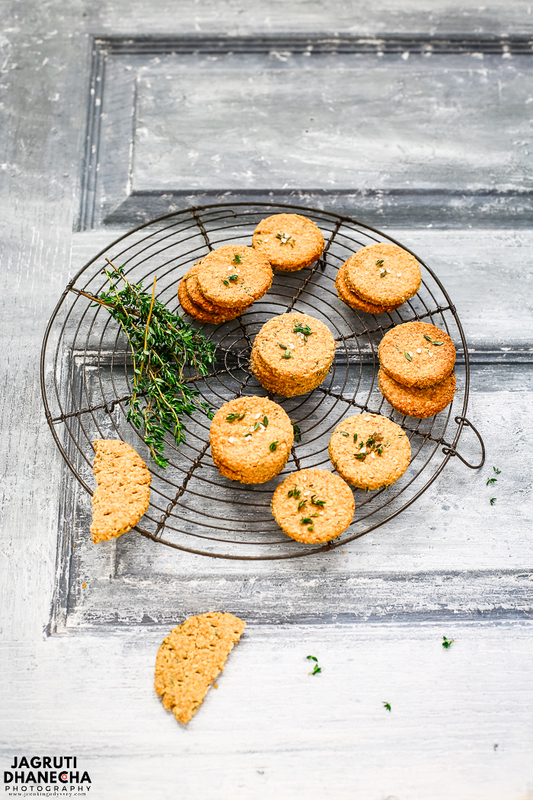 Super excited to share this recipe of my first batch of homemade Vegan Thyme Oatcakes, these are the perfect accompaniment to chutney - vegetarian blue cheese optional. These fantastic cakes are lightly flavoured with thyme and take less than 30 minutes to come together. 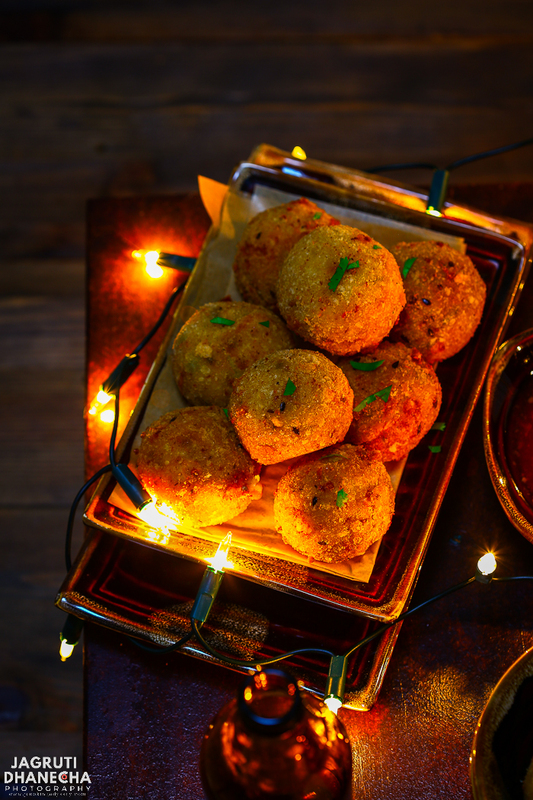 Place these Loaded Cauliflower Cheese Balls as the centrepiece and watch how your table transforms into a fancy and festive feast. The perfect starter or snack for any party or game day, these are made with cauliflower mash, loaded with cheese and spices, breaded and fried. Resistance is futile! 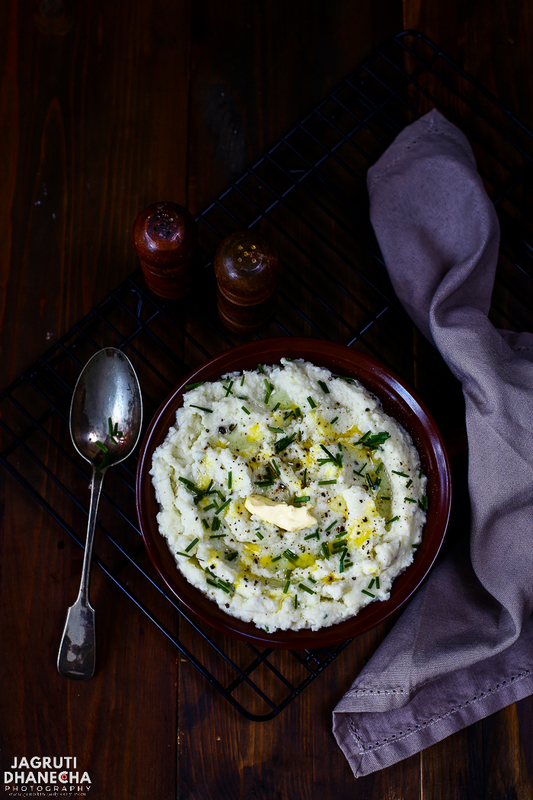 Instant Pot Vegan Cauliflower Mash, this luscious and gluten free cauliflower mash is moreish. There is extra creamy goodness from the addition of vegan butter, dairy-free sour cream with lovely flavour from fresh chives and garlic. It is perfect for those who like to enjoy low carb alternative to mashed potato, this mash is so delish that you won't miss the potatoes! 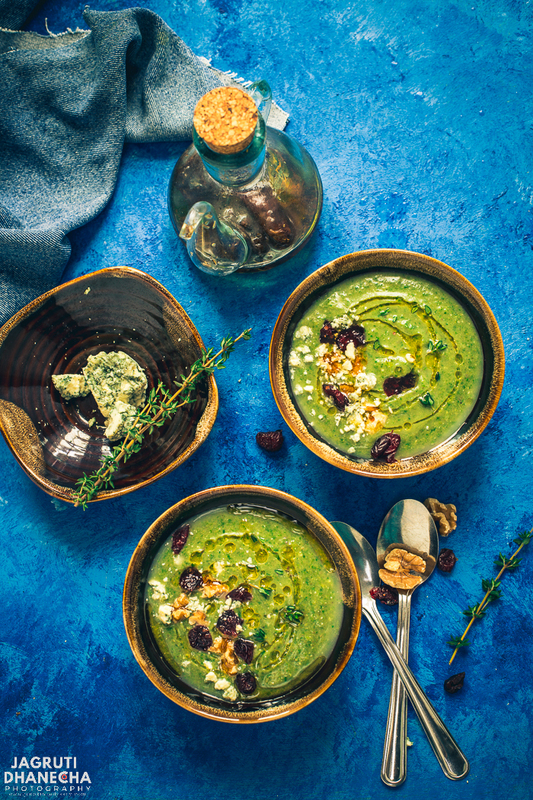 A combination of delicious and vibrant ingredients, this bowl of thick and creamy Instant Pot Broccoli and Pear Soup is perfect for warming up on chilly winter evenings and fancy enough as a starter on a Christmas party menu. Prepare to soothe your conscience after indulging those calorie ladened mince pies, chocolates, mulled wine and glasses of champagne over the festive season! 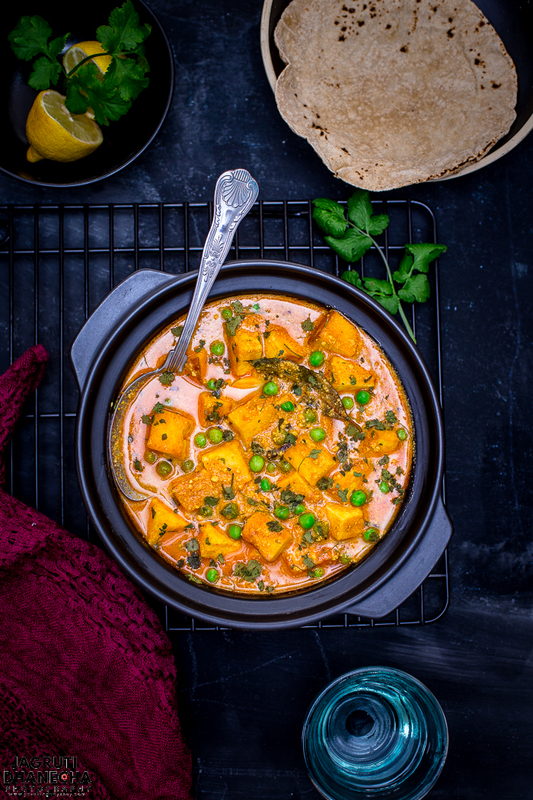 Amazing Niramish Paneer - a creamy and flavourful Paneer Curry that is my version of the classic Bengali Niramish curries. It is rich, delicious and cooked without onion-garlic. 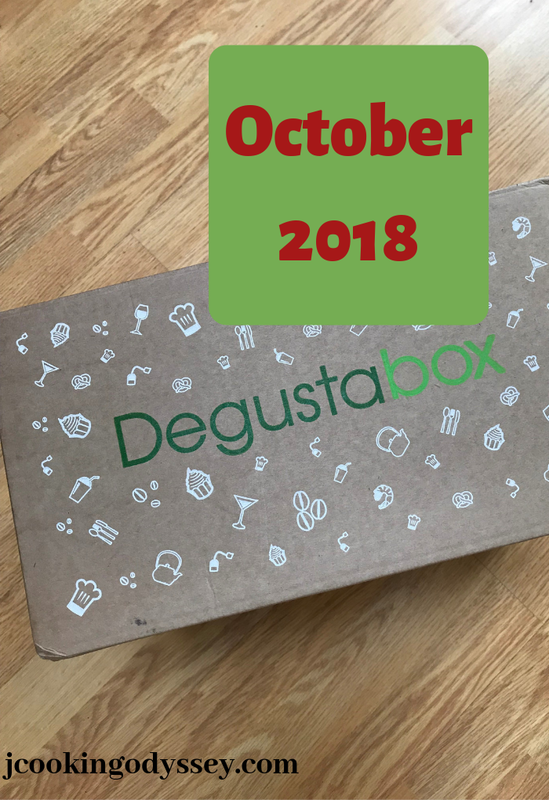 My favourite time of the month, when my phone shows the text "DPD Driver will deliver your Deguastabox order today"